Additionally, Airport Passenger Terminal, Volcano Exporation Base & Heavy Lift Helicopter, and Belle's Enchanted Castle were also specifically omitted over here, though we've gotten other new sets from those themes. This is pretty standard occurrence, with the same pattern repeating for at least the past few years. As I'm almost done with reviews of sets that have been released in the US, I'll do my best to track down & buy at least the most interesting & anticipated stuff from overseas as always. It may take awhile to source it all, so my apologies in advance for the delay! Thanks for this update. I'm surprised LEGO decided not to release the rest of the LEGO City Volcano sets. Those are the best in the collection. Especially since next month their promo is a Volcano based polybag... I was really looking forward to your reviews on the larger sets in this collection. Hey Jang, 76057 is a MARVEL set. Good info otherwise. Nice to see you're still busy! I'm new to Legos and I'm unsure of release seasons. Was wondering how often a good train set is released preferably the creator type. I am guessing the reason that they don't release those sets in the US, is because it doesn't fit the retailers schedule. Based on what I am seeing in stores and flyers. June and July are the "season" to promote outdoor toys. In August Store are gearing up for "back to school" and so is a better time for retailers to promote a educational construction toy release. 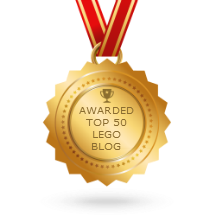 Hi Jang, we are looking forward to your Lego Friends reviews for summer 2016! !